Woo. Only 5 seconds in and I’m already into it. I love how this was produced. This was a great choice as a first single for the album because it’s so accessible. Crashing cymbals, a pedal-powered guitar, synths, echo-y vocals, and lyrics crooning “Don’t look back” make this track sound like…a dream set in an apocalyptic future. Sorry, am I the only person that’s going to understand that? I don’t know how else to describe it, okay? Just listen to it and see if you can get it, too. So far it’s sounding like Miguel kept in mind how he was going to perform these songs live because everything is so atmospheric. Anyway, this track opens up with a cool guitar progression but the rest of the song is pretty forgettable. So if “Don’t Look Back” was a futuristic dream, this is, for lack of better words, a kaleidoscope dream. “Kaleidoscope Dream” has the same dreamy quality as “Don’t Look Back,” but adds brighter vocals and a steady, bouncing bassline. I really love the opening verse because I’m so familiar with the feeling he describes: “Can you roll down a window / I just wanna feel the wind blow in my face / ‘Cause the moments come one blink at a time / That’s why I never wanna close my eyes.” Definitely a strong track, lyrically and musically. I thought a Trey Songz track suddenly began playing from my iTunes, but it was indeed still Miguel. I feel like I’ve heard this same beat in other R&B songs, but it still makes for a radio friendly song. His singing in this makes me think of Robin Thicke (when he’s not in falsetto) for some reason. Despite that, not my cup of tea. I would probably press ‘skip’ for this. “Arch Point” sounds like it could have been on his first album All I Want Is You, but that’s not a bad thing at all. I don’t want this to end up on the radio because I don’t want to get tired of it. I started laughing when I saw the title of this song and my laughter started again when it started and Miguel got into the chorus. I’m pretty sure this track was meant to lighten the otherwise overall moody tone of the album so far. It reminds me of “Quickie” but I can’t really see myself keeping it in my personal music rotation. This was definitely made to play for a live audience. The instrumentals are stripped down and take a back seat to Miguel’s vocals. Great way to finish out the album. Average score: 3.73/5. I really enjoyed it. The tracks all fit together to make a cohesive album. 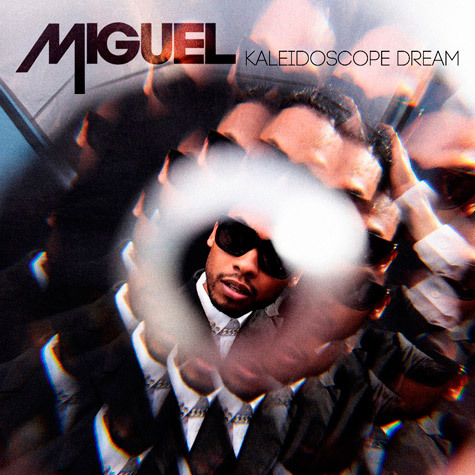 I understand the direction Miguel was going in with Kaleidoscope Dream, which can’t be said for many albums out there. He’s certainly not the most vocally talented singer out there, but he is a talented artist.